You can personalise each flute with any message up to 4 lines of 20 characters. 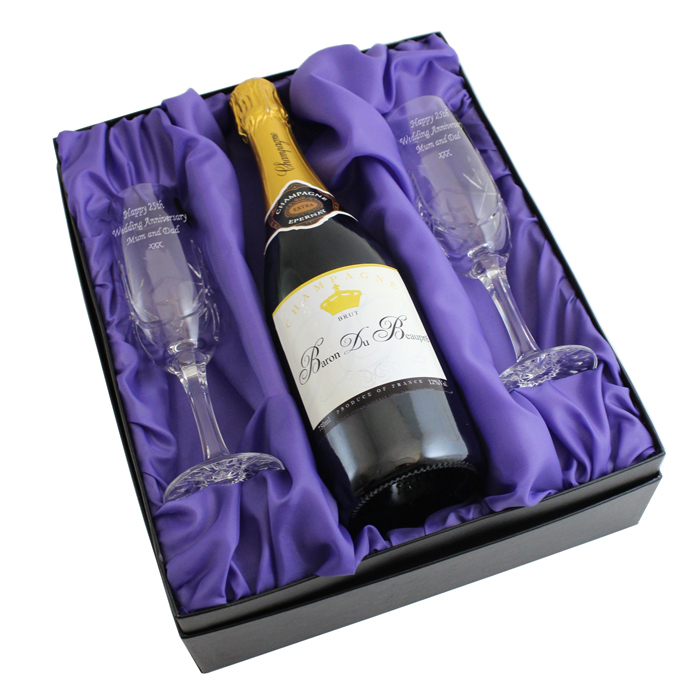 The set also comes presented in a beautiful silk lined box. The bubbly itself is a high quality, award winning champagne. The flute designs may vary.